But to be fair, food is a huge part of any destination for me and Deep Creek Lake was no exception. 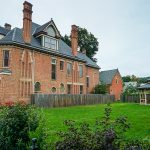 The only problem is that we had no recommendations and we were literally praying that the people on Google reviews were telling at least a little bit of the truth. 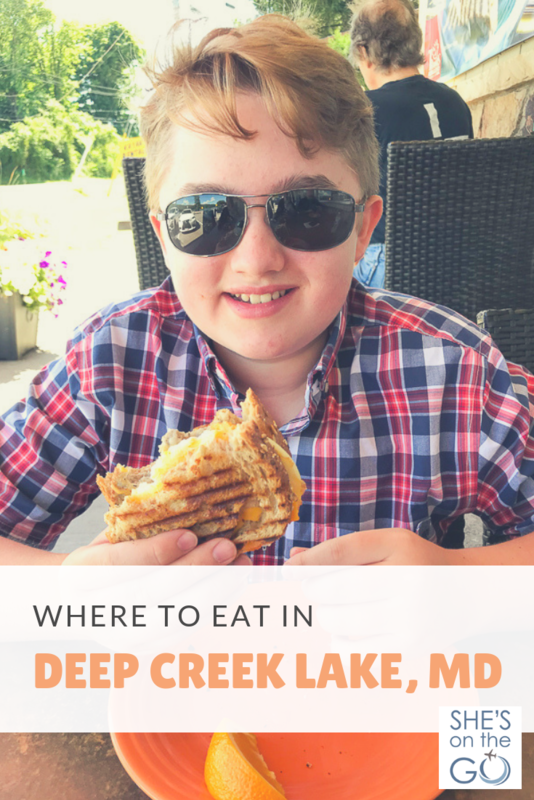 We relied a little on Google but ended up mapping out where to eat in Deep Creek Lake. It was my husband that started the quest for dinner our first night there and he suggested one place and one place only, Brenda’s Pizzeria. When I go to a beautiful lake nestled in the mountains of western Maryland, I don’t really think “authentic New York pizza” but once my husband gets his heart and belly set on something, it’s easier to just give in. But I’m so glad I did. I went for salad and pasta since I didn’t really haven’t pizza on my mind. 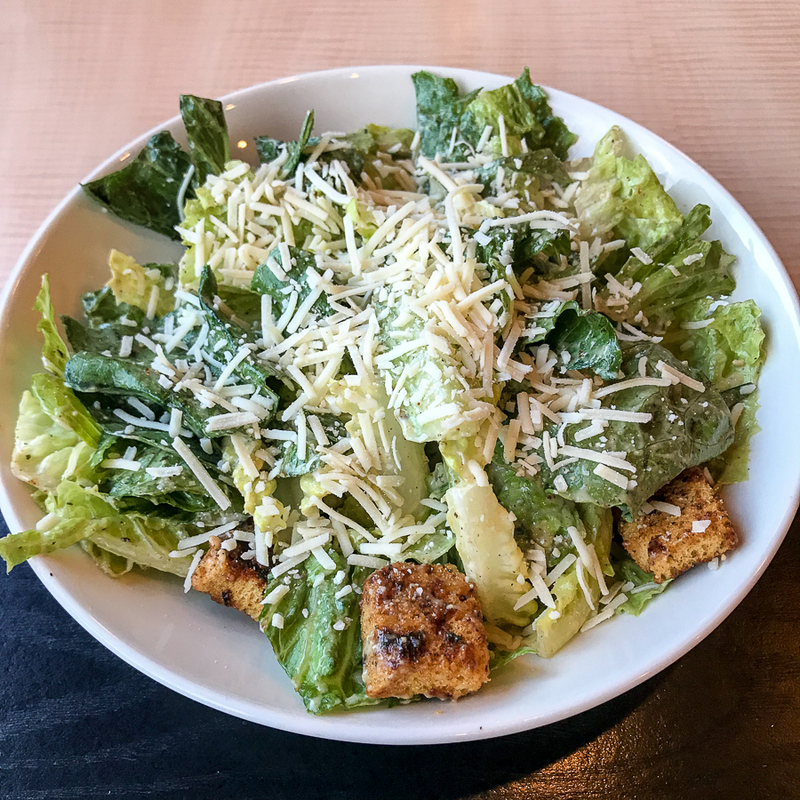 I’m not a crouton lover but the homemade croutons on the Caesar salad were amazing. 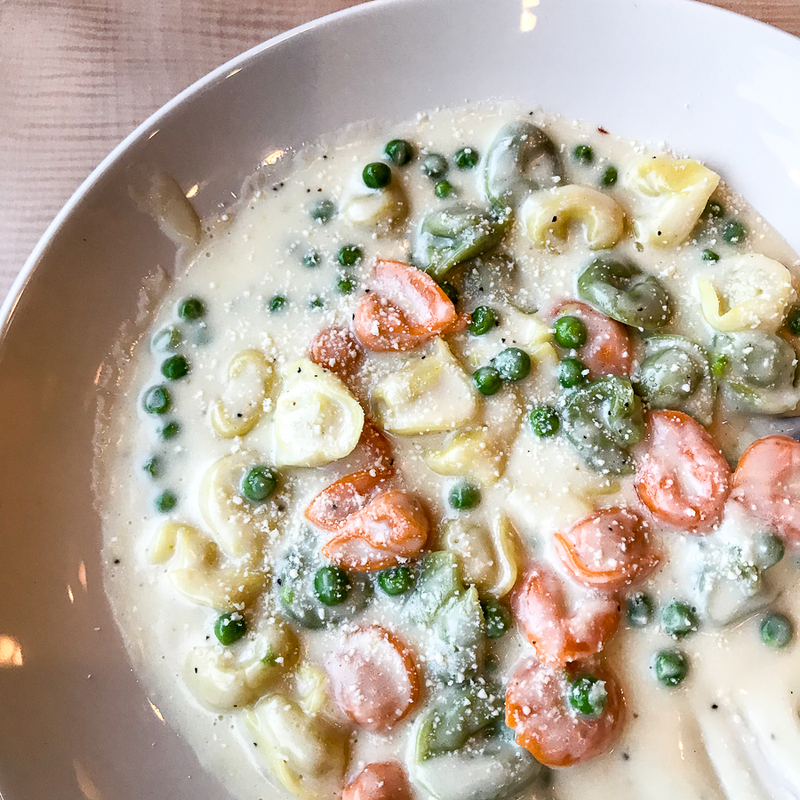 And although I didn’t intend to eat the whole thing, I put a pretty good dent in the Tri-color tortellini, with peas in a rich cream sauce. And even after all of that, I still felt like I would be doing myself a disservice if I didn’t also try Brenda’s pizza. 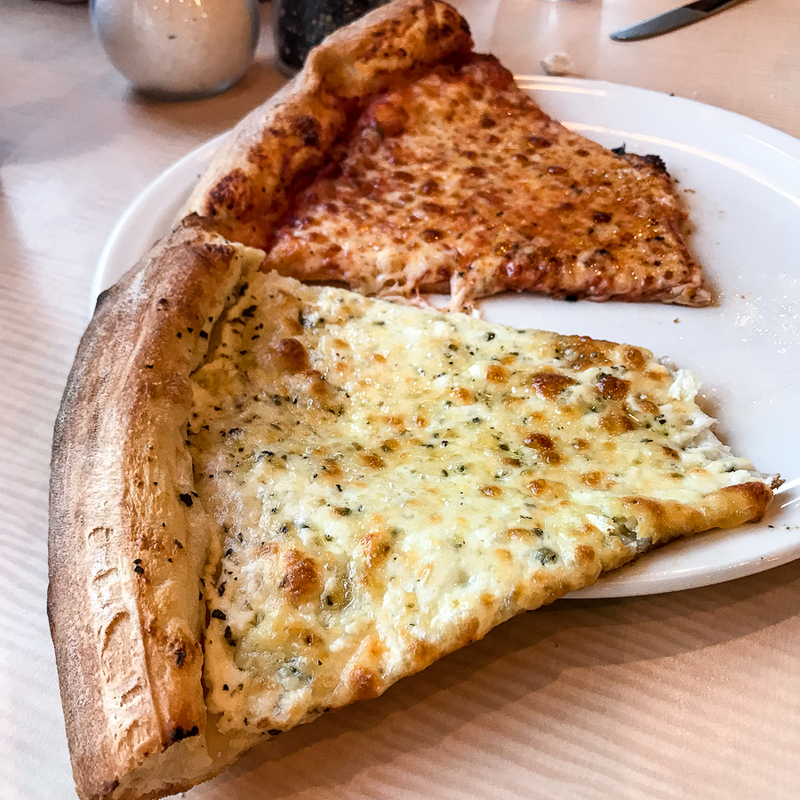 So we ordered two slices: one traditional slice and one white slice. Both were fantastic. I’d definitely go back to Brenda’s Pizzeria on my next visit. 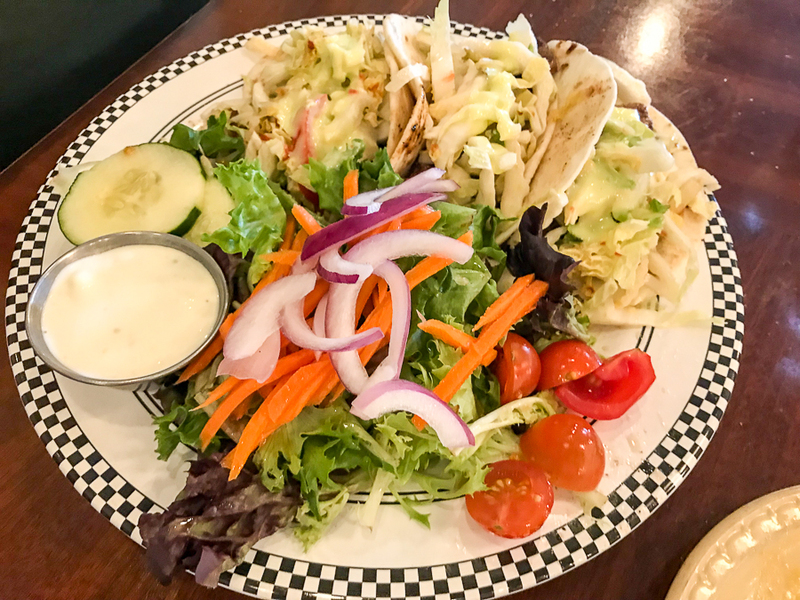 It’s fresh, filling food in a family-friendly environment. Go for the food but stay for the view. It seemed like we had just finished dinner when we were waking up and already thinking about breakfast. Usually on vacation, we eat only two meals a day with snacking in between. 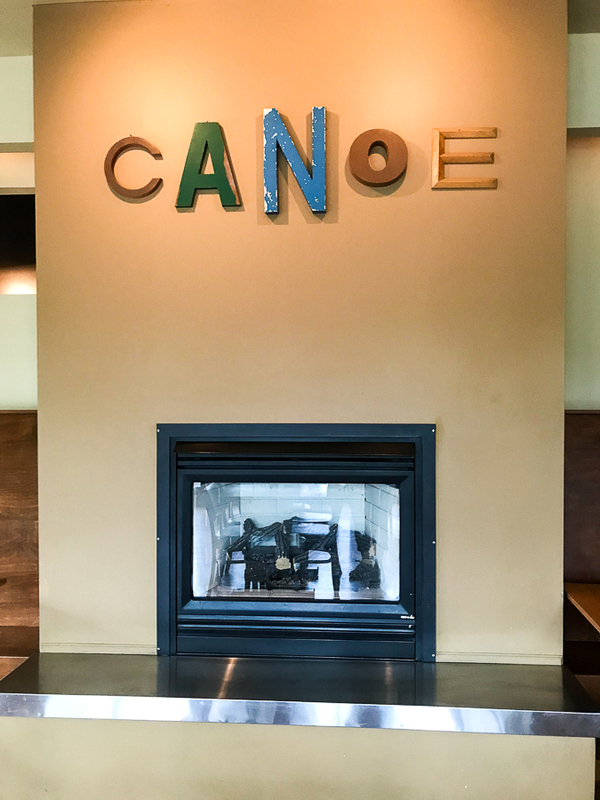 On this day, Canoe on the Run was the perfect brunch spot for us. I wasn’t feeling the breakfast vibe that morning so I opted for one of the appetizers and made it my meal. 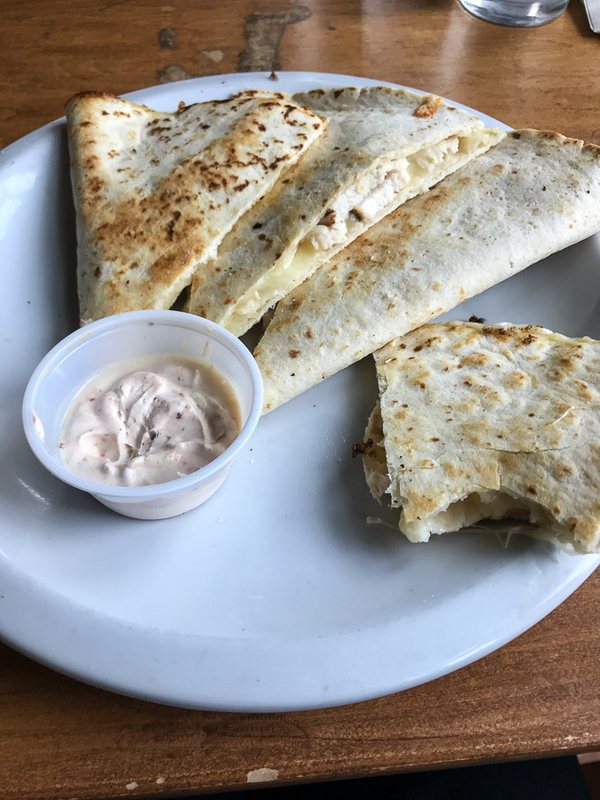 This quesadilla was made with smoked gouda, Monterey jack, caramelized onions, and chicken served with a chipotle sour cream sauce. You’ll find, as with most of my food pictures, I’m so excited to eat that I usually don’t remember to take the photo until after I’ve started! 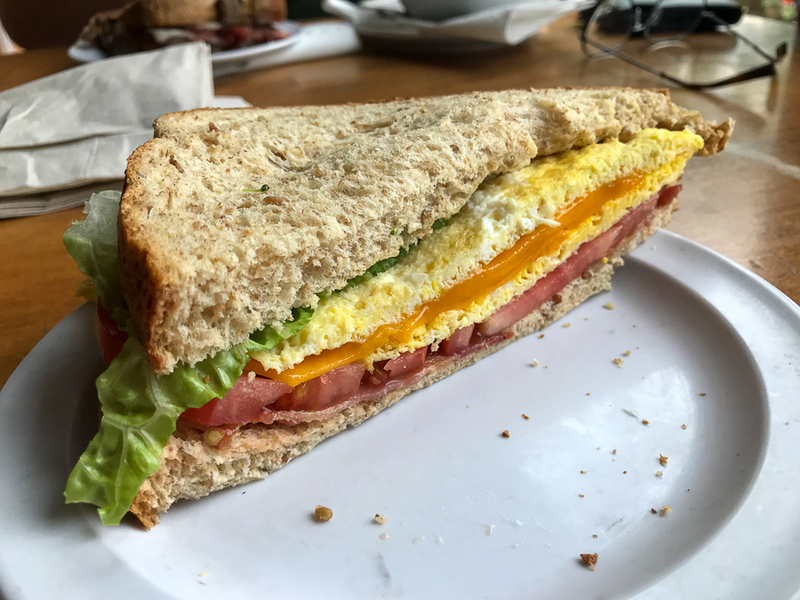 My son ordered a traditional egg sandwich with eggs, bacon, cheese, lettuce, and tomato. 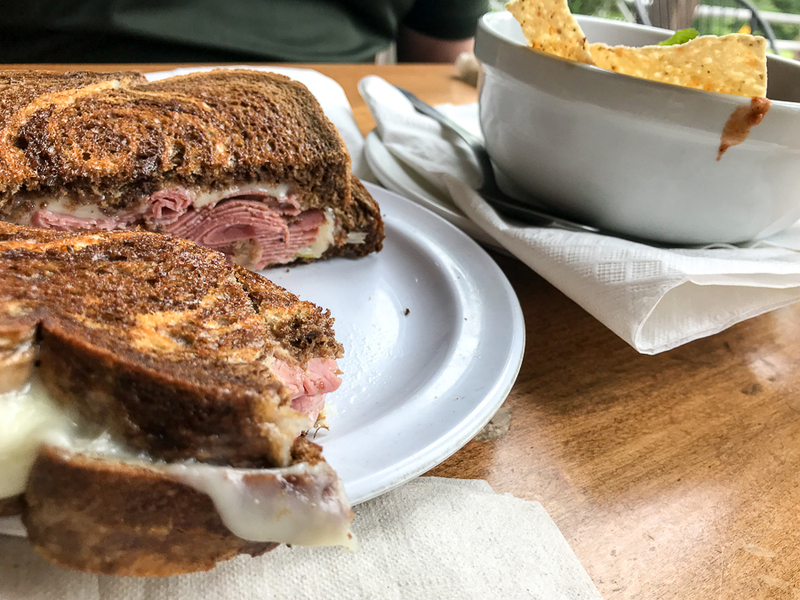 But my husband hit the jackpot with his corned beef reuben with a cup of chili on the side (this is how he breakfasts). 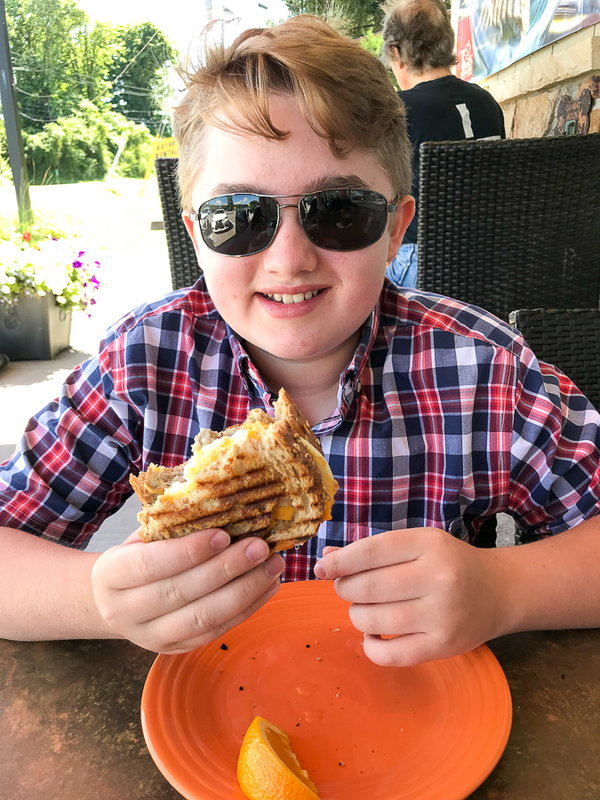 It was also here that we learned my son prefers a corned beef reuben over his own egg sandwich! Since this was our big meal for the first half of the day, we stayed full through most of our activities until I noticed everyone was getting a little tired and cranky. So I decided it was time for our mid-afternoon pick-me-up. 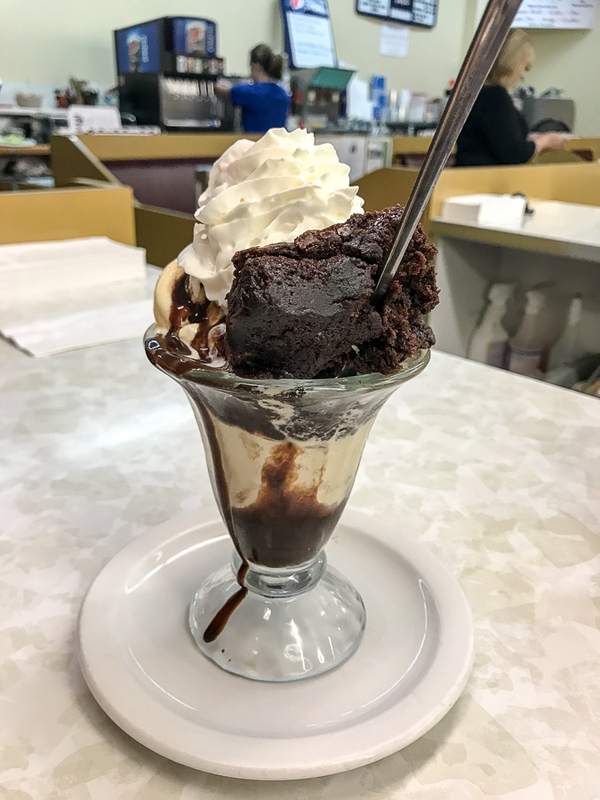 My husband opted for this light, little, brownie sundae. And yes, he ate the entire thing. 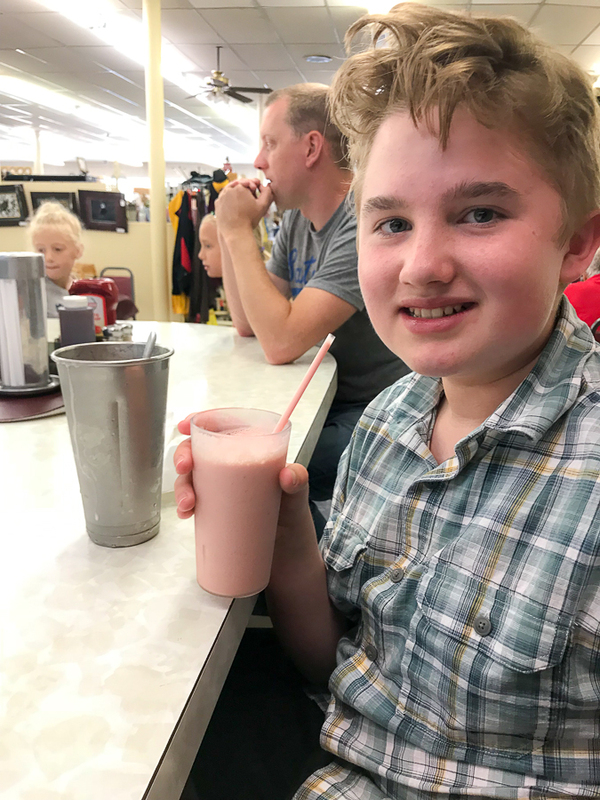 My son went for a more traditional strawberry milkshake. 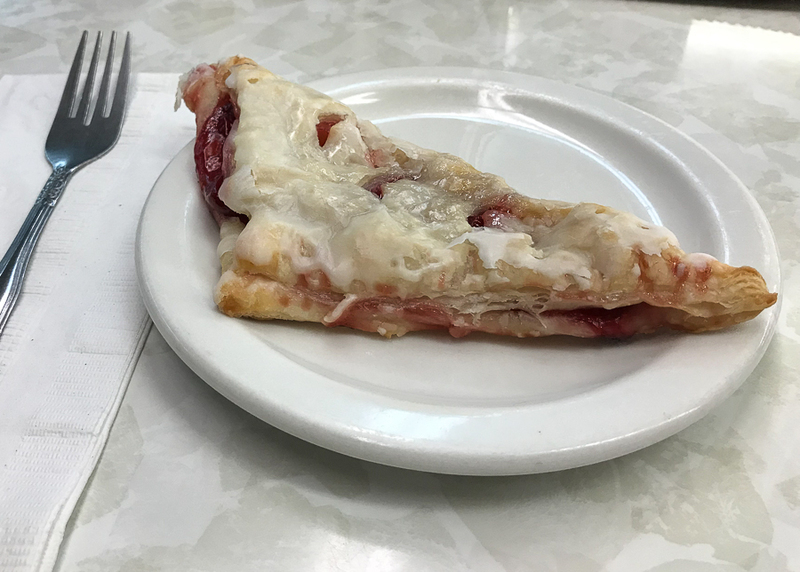 I stayed true to my desire for pastries by ordering the homemade cherry turnover. It looks like a soggy piece of pizza but it was delicious and tasted like something that came from grandma’s kitchen. And that held us off just long enough until we were ready for dinner. 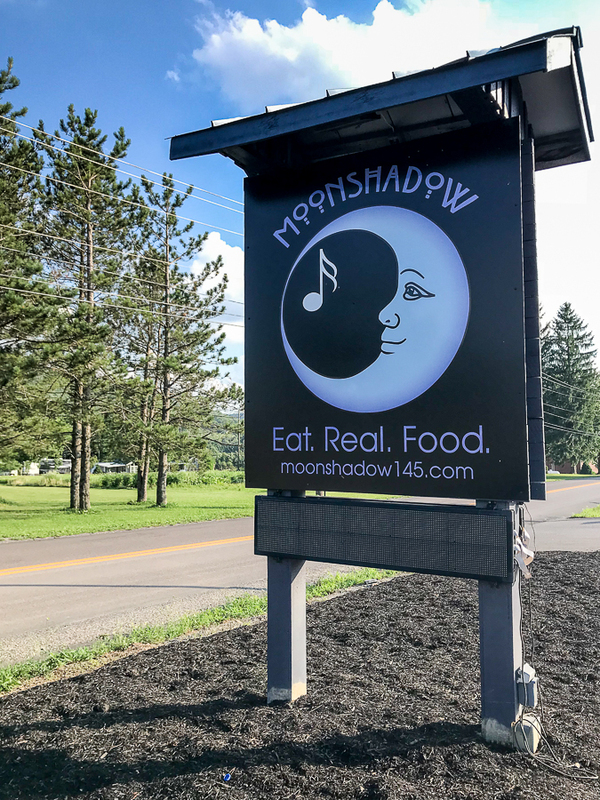 We were staying at the nearby cabin community called Blue Moon Rising which is a sister property to the MoonShadow Cafe. 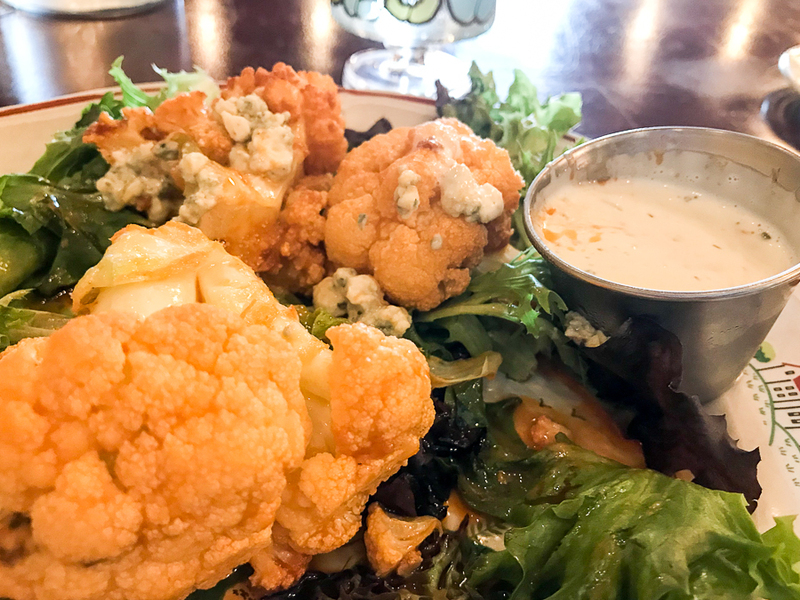 Since it was nearby and we were loving our cabin, we decided to check out their restaurant arm offering craft beers and healthy food choices. So I, of course, started with the beer. 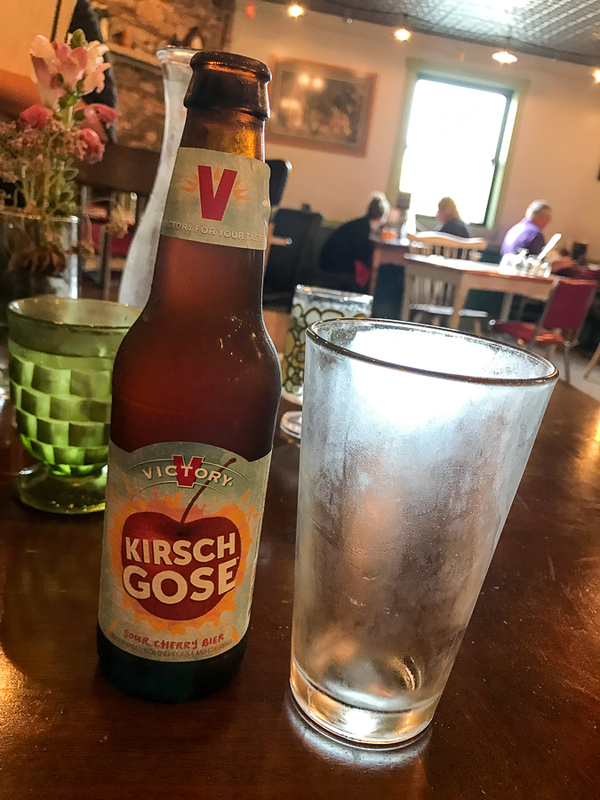 Any time I find a sour beer on the menu, I’m thrilled so I ordered the Sour Cherry Gose and took a picture mainly so I’d remember to order it again sometime. 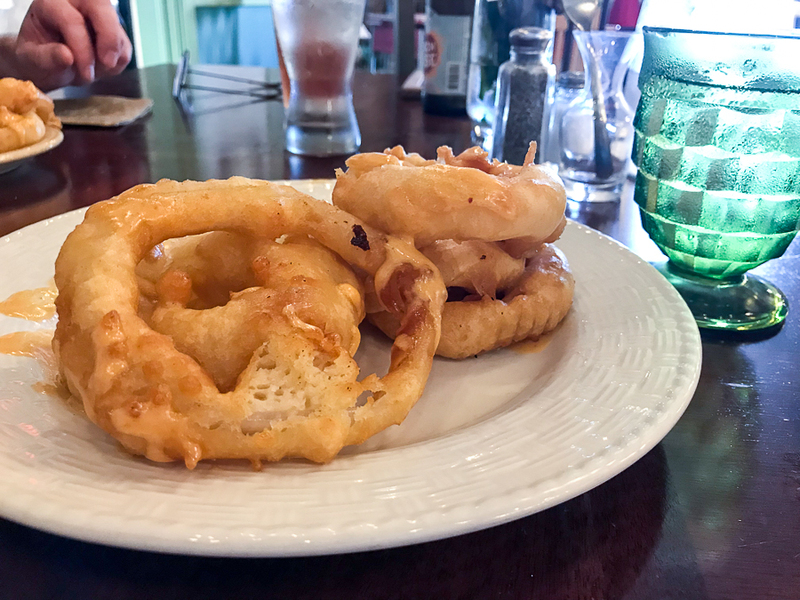 Since we eat on vacation like it’s our business, we started with a few appetizers including hand battered onion rings and cauliflower “wings.” If you’ve noticed a trend to cauliflowerize everything and met it with mixed results, you’ll be pleasantly surprised at the taste and texture of their wings (fried cauliflower tossed in buffalo sauce, topped with gorgonzola cheese). Then, it was on to the entrees. At this point, some of the calories from the trip had started to catch up to me and I decided to order something on the lighter side. 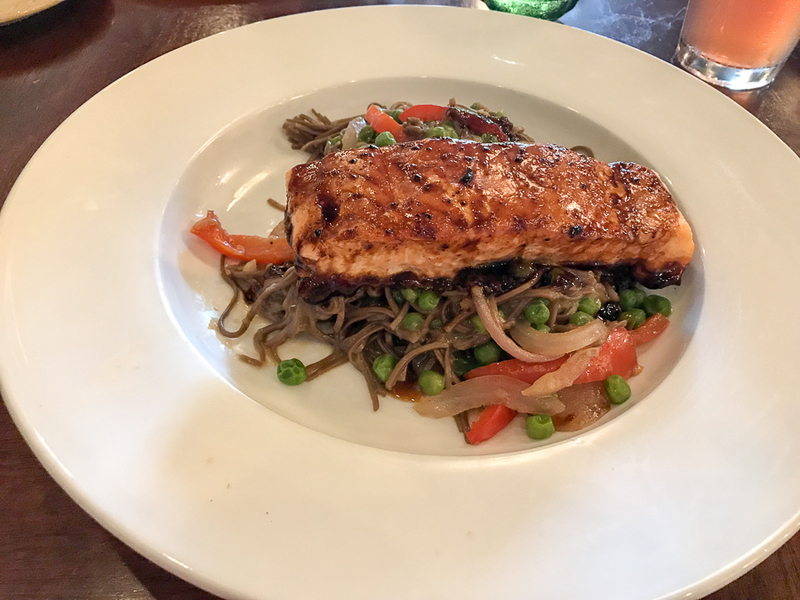 I picked the glazed salmon and miso soba noodles, which the menu described as salmon glazed with soy and sake, over warm soba noodles, tossed with white miso broth, peas, onions, and red peppers, garnished with julienned carrots and summer squash. I should note that I’m not a huge salmon fan and I ate every last bite on this place. 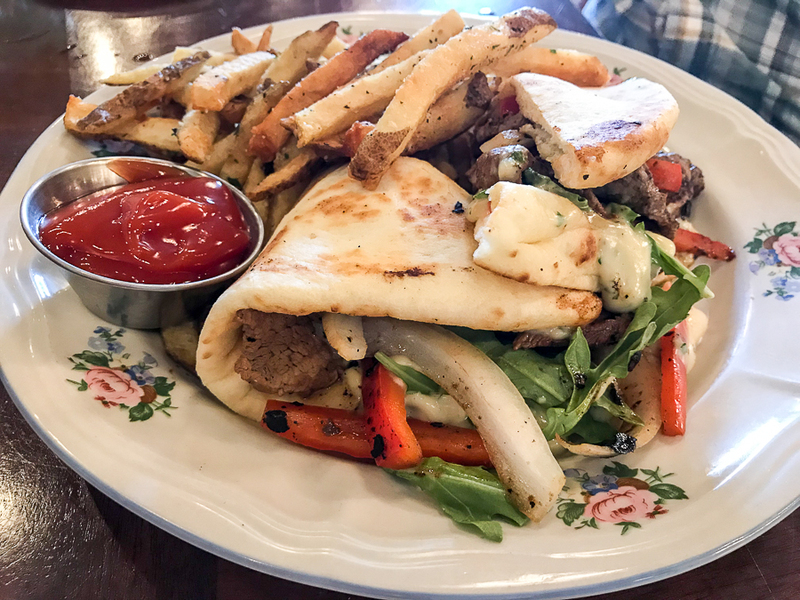 And because I was photographing all my food, my husband insisted I capture his fish taco special while my son showed off his steak and brie pita. No matter how much we eat the night before, my family always wakes up hungry. 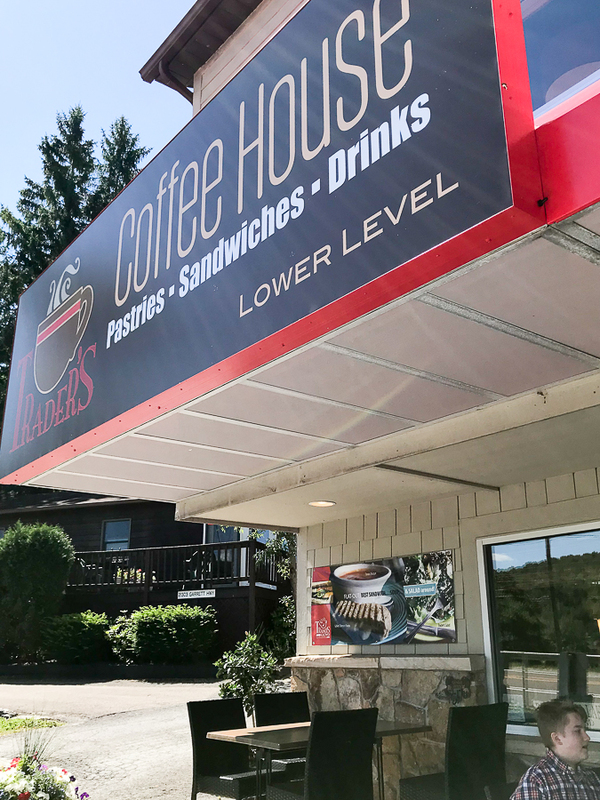 On our last day, we went to Trader’s Coffee House which is literally right below Brenda’s Pizzeria. 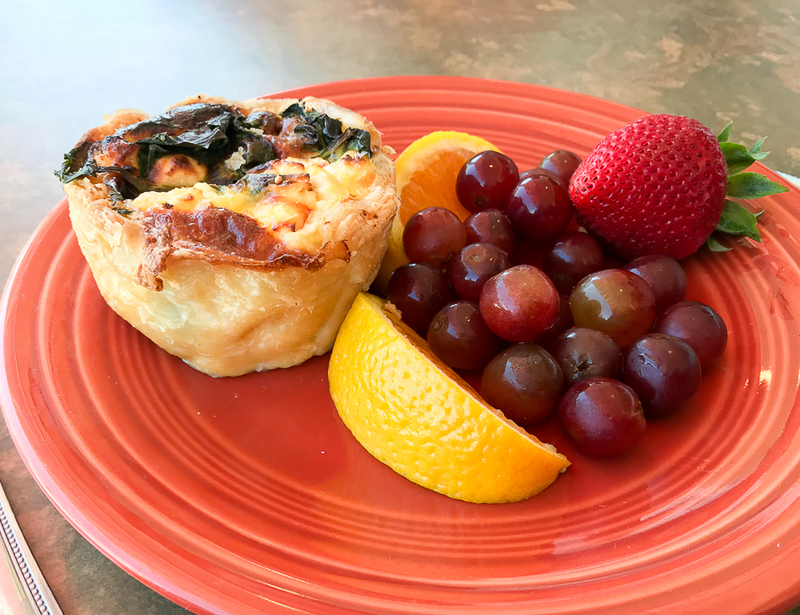 Again, I attempted to eat a little bit lighter than the rest and went with the quiche of the day and a side of fruit. 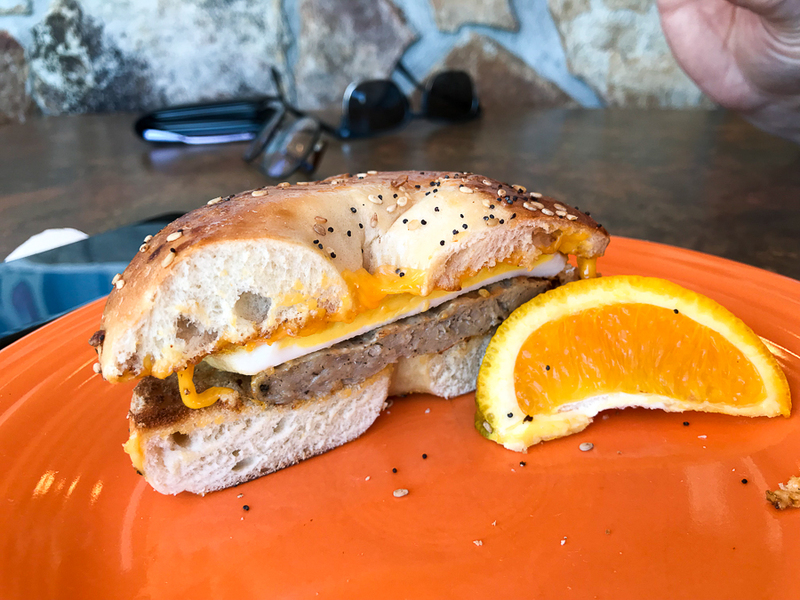 It was perfectly sized and deliciously homemade as were my son and husband’s breakfast sandwiches. This was intended to be our last meal in Deep Creek Lake before heading home. And technically it was but there’s always room for snacks! 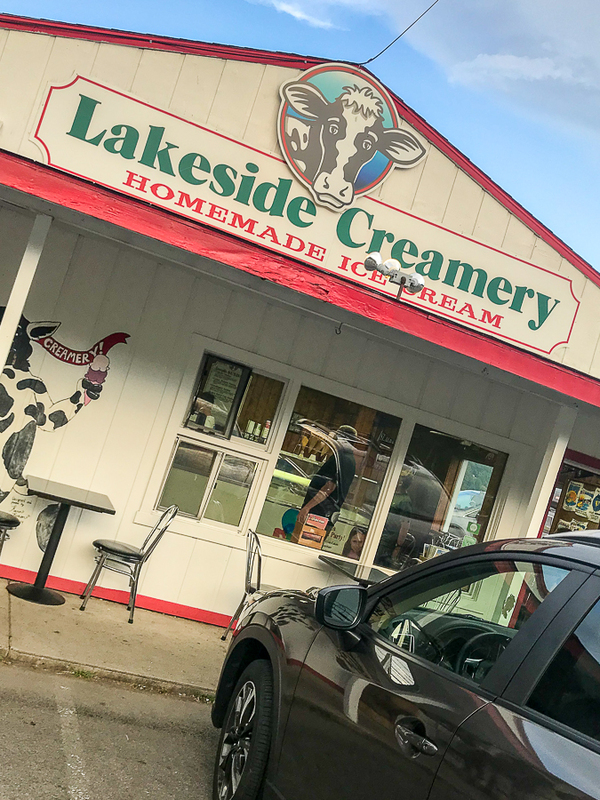 This is apparently THE place to go for ice cream in Deep Creek Lake and after one visit, my husband and son agreed. 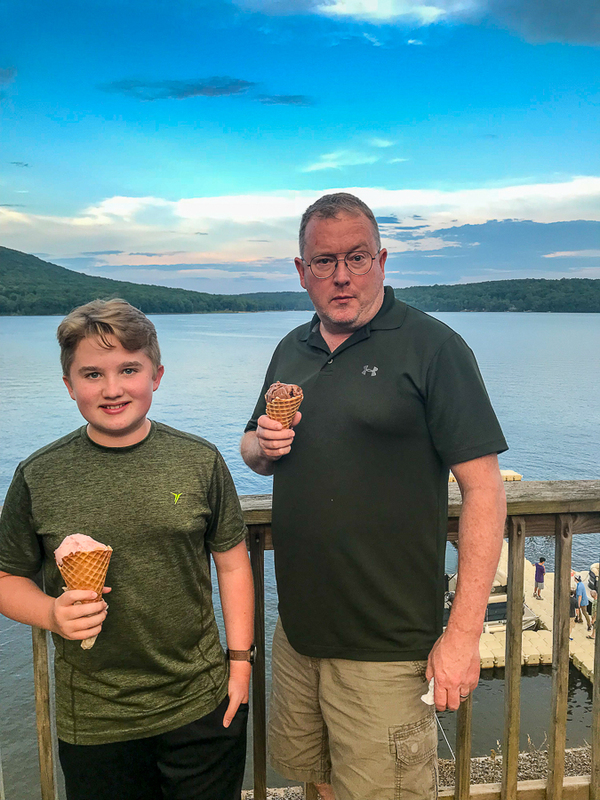 They liked it so much that they convinced me to take them there a second time just before leaving town where I broke down and had some ice cream too (the black raspberry is the best!). And with views like that, it’s worth the stop. 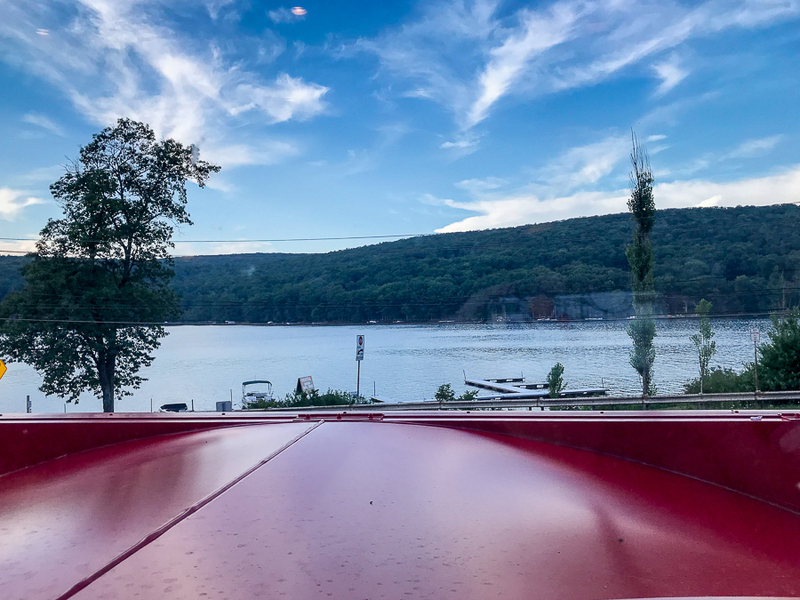 If you find yourself in Deep Creek Lake wondering where to eat, I hope you’ll check out some of our favorites. I promise that our bellies won’t steer you wrong! 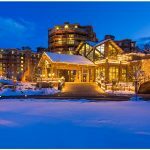 We frequent the lake and several years ago I asked where everyone wanted to eat? No one answered so I headed toward Oakland. I put my left blinker on and was turning I to El Canelo’s when my said that she wasnt going to eat Motel Mexican. I promised her that if it was empty, we woumdnt stay. 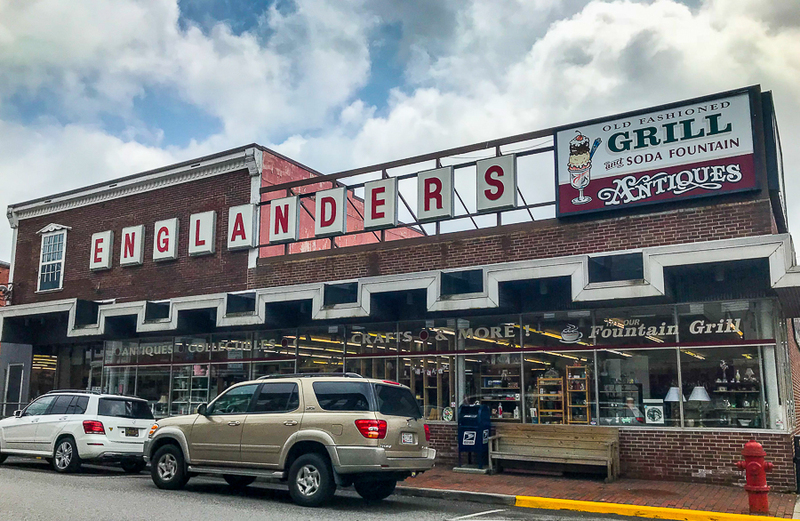 We stayed and it has become a staple of our trips to Western MD. Do not skip the mango margarita, they are delicious. Weve not had a bad meal yet, or margharita!! We love Mexican food so I’ll definitely add it to my list for our next trip. Thanks for your input!